Lyft on Wednesday began rolling out self-driving cars with users of the smartphone-summoned ride service in Boston in a project with technology partner nuTonomy. The launch of the driverless test program stemmed from a collaboration between Lyft and nuTonomy announced earlier this year. 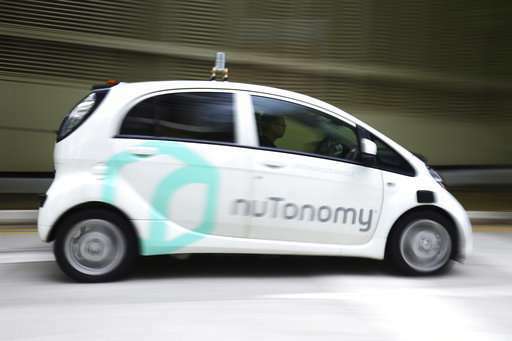 "As the pilot progresses, select Boston passengers in Seaport area will be matched with nuTonomy self-driving vehicles when they request rides through the Lyft app," the companies said in a release. "We want to let members of the public experience driverless vehicles firsthand, so they can better understand the impact this new technology will have on their lives." The companies will also gather feedback from passengers to improve the system. Alphabet's Waymo last month said that its self-driving cars are hitting the road without anyone behind the wheel in a test in Arizona. The former Google car unit has been testing autonomous cars for years, but with a driver behind the wheel to take over if needed. Waymo announced that a portion of its fleet in the Phoenix area will operate in fully autonomous mode with the cars handling all the driving. The testing will initially be limited to part of Phoenix, Arizona. The launches are part of a competitive race to a ride-sharing future, with established automakers such as Ford and BMW and ride-sharing groups Uber and Lyft in the mix. French firm Navya last month unveiled an electric-powered, self-driving Autonom Cab designed to provide local rides for people in urban centers. 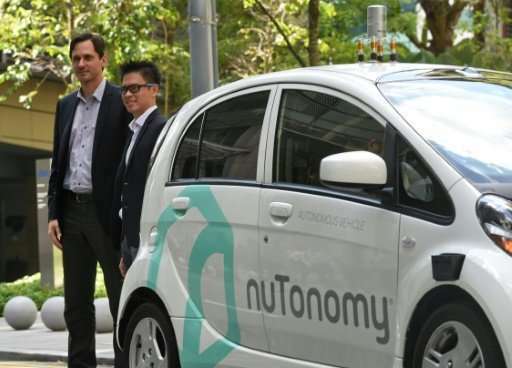 A startup created by former engineers from the Massachusetts Institute of Technology, nuTonomy deployed a small number of vehicles for the world's first self-driving taxis last year in Singapore. These will let those who cannot drive (I know several), to have better, fuller lives.